House Speaker Shap Smith addresses reporters Monday at the Statehouse. Updated June 9, 2015, at 11:04 a.m., with more from Doug Racine, Sue Minter, Chuck Ross and Brian Dubie. Vermont's 2016 gubernatorial race began in earnest Monday afternoon with Gov. Peter Shumlin's surprise announcement that he will not seek a fourth term. After a lackluster showing in last November's election, the East Montpelier Democrat was expected to face tough opposition next year from Republicans, Progressives and Democrats alike. But his decision to step down will almost certainly widen the field of contenders, which could include the state's lieutenant governor, House speaker, U.S. congressman and many others. In public comments and private conversations, several potential candidates immediately sought to stake out a position in the race, while others indicated they would take a pass. Speaking at a Statehouse press conference just hours after Shumlin's announcement, House Speaker Shap Smith (D-Morristown) told reporters he would spend the next several weeks weighing his options. "I am seriously considering running for governor," he said. Lt. Gov. Phil Scott, the Vermont Republican Party's sole statewide officeholder, said recently he, too, was "considering" a run for governor. "This doesn't change anything from my perspective," Scott said Monday. Perhaps the most surprising name to emerge from the ether was that of U.S. Rep. Peter Welch (D-Vt.), who last fall won his fifth term in Congress. Welch, a former state Senate president and 1990 Democratic gubernatorial nominee, has not said he's interested in the job, but a top Shumlin adviser spent Monday talking him up as a potential candidate. "I think that if Congressman Welch decides to run, he'd be the prohibitive favorite," said Bill Lofy, Shumlin's former chief of staff and liaison to the Democratic Governors Association. "He would be an exceptional governor, just as he's been a great congressman." Welch's chief of staff, Bob Rogan, did not rule out the possibility. "It's likely Congressman Welch will seek reelection to Congress, but this news comes as a surprise, so he will be taking the time he needs to thoughtfully consider how he can best serve Vermonters," Rogan said. Vermont's last open gubernatorial race, following Republican Jim Douglas' 2009 decision to retire, drew five top Democrats, including Shumlin. Three of his erstwhile opponents appear to be considering another go: Secretary of Natural Resources Deb Markowitz, former state senator Matt Dunne and former human services secretary Doug Racine. "I have greatly appreciated all the people who have approached me about running," said Markowitz, a Montpelier resident and former secretary of state. "It is still very early — and there is a lot to consider before entering into another race." Dunne, a Hartland resident and Google executive, said he was "certainly going to give it serious consideration." "I have been flattered by the emails and calls that I've received this afternoon from Vermonters all over the state who are excited about the possibility of my running," he said. "There are a lot of conversations to have before making a decision about whether or not to run for governor, including talking to my wife and supporters in the state, but I am certainly considering running." Dunne has already picked up an endorsement from one prominent Vermonter: environmentalist and 350.org founder Bill McKibben, who also backed Dunne in 2010. "I thought he was the right guy last time, and it seems doubly clear this time," McKibben said. "We could be doing great things in this state, not just treading water." Racine, who lives in Richmond, told Seven Days last week that he would like Shumlin to face a challenge, though he wouldn't say whether he himself would run. Reached Tuesday, the former senator and lieutenant governor said he was considering his options. Markowitz may not be the only cabinet member pondering a run. Now that their appointments are set to expire in January 2017, others — such as Transportation Secretary Sue Minter and Agriculture Secretary Chuck Ross — may consider a race. Ross, who spent 16 years as Sen. Patrick Leahy’s (D-Vt.) state director, called it “flattering to be in the mix” but said he preferred to focus on the outgoing incumbent. 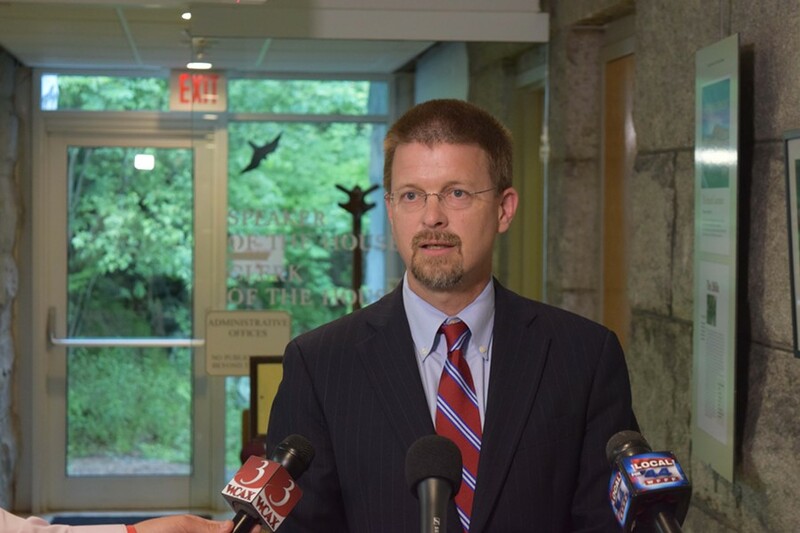 Chittenden County State's Attorney T.J. Donovan had been expected to make a second run for attorney general next year, but the open gubernatorial seat could lure him in as well. Donovan declined to comment on the possibility Monday, saying it was "a day to reflect on the governor's accomplishments and focus on his hard work and not make any hasty decisions." Former senator Peter Galbraith, a Townsend Democrat and former diplomat, said he had been considering challenging the incumbent and may still enter the race. "I really thought there should be a progressive alternative to Peter Shumlin," he said Monday. "It was in that context I was considering running for governor. So I would have to think about what might happen now." At least two prominent Chittenden County politicians are ruling out a run. Sen. Tim Ashe (D/P-Chittenden), who chairs the Senate Finance Committee, also said he would not run, but talked up his colleague, Sen. Jane Kitchel (D-Caledonia). Ashe cited her "unmatched knowledge of state government" and "total integrity." "She hasn't been plotting a move [for governor] for decades, which might make her an unusual and exciting candidate," he added. Kitchel herself said she does not plan to run. On the Republican side of the ledger, several former gubernatorial candidates said they might jump into the race, whether or not Scott runs. "I would say I'd be more likely to support Phil Scott than oppose him in a primary, but there's a lot that can happen between now and a primary," said 2014 Republican nominee Scott Milne, a travel agency executive from Pomfret. "I think there's going to be an opportunity for more than one candidate to surprise people, and I might be one of them." Dan Feliciano, the 2014 Libertarian nominee, announced shortly after last fall's election that he would join the Republican Party. The Essex resident and management consultant said Monday that he's long been considering a third gubernatorial run. "I've been actually seriously considering it and reaching out to many of the Vermont state GOPers to let them know my interest and where I stand and what my issues are," Feliciano said Monday. He said he would likely make up his mind within the next month. Randy Brock, a former state auditor and senator from Swanton, won the Republican gubernatorial nomination in 2012 and may run again next year. "It's something I'm considering. No decisions have been made," he said Monday, adding that potential candidates should enter the race this summer in order to build campaign war chests and name recognition. "I've already started talking with people, and people have started talking with me." In recent months, retired Wall Street banker Bruce Lisman has been penning op-eds criticizing the Shumlin administration. The Campaign for Vermont founder and Shelburne resident said Monday he's also giving a gubernatorial run "some thought." "I certainly haven't decided," he said. "The governor just announced today that he's not running. I've said to just about anybody [that] I'm thinking about it. It's a good thing to think about, but I'm not saying now." It’s also unclear whether any top-tier Prog would abandon his or her seat in the legislature to make a run, though Sen. Anthony Pollina (P/D-Washington) suggested last week he’d consider it. Staff writers Terri Hallenbeck, Mark Davis and Alicia Freese contributed to this story.